MonetDB Solutions is a spin-off company of the Dutch national research institute for mathematics and computer science (CWI). 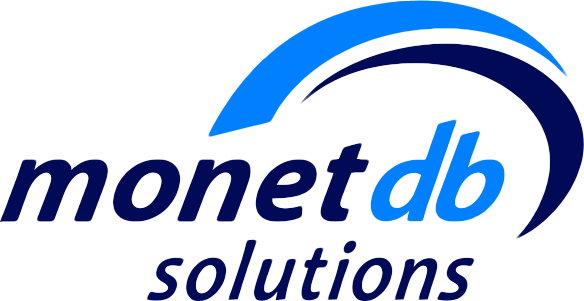 MonetDB Solutions is the developing and technical consulting company for the open-source column-based database system MonetDB, specialised in database technologies for Business Intelligence and Big Data Analytics. Established in 2013, the mission of MonetDB Solutions is to build a high-tech, medium sized company on arms length of CWI to facilitate and capitalize the economic take-up of its core open-source product MonetDB. The product portfolio of MonetDB Solution is aimed at technology consultancy and Database-As-A-Service products in the Cloud. MonetDB Solutions is expert in column-store database technology, which is particularly suitable and important for the large data warehouse and Big Data analytical applications, which in turn form an important class of applications hosted by data centers.